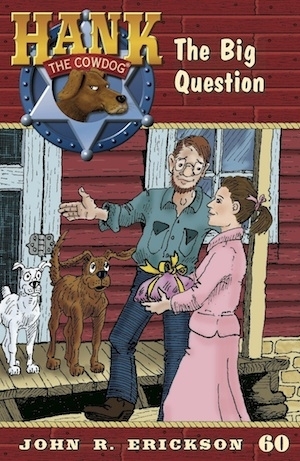 We here at Maverick Books are getting excited about the upcoming release of the next Hank the Cowdog book: #60, "The Big Question"! And, this week, we're happy to get to show you a sneak peek at the cover! But...we aren't going to tell you what it's about just yet...we want to see what you come up with by looking at the cover! And, check back again in coming weeks to see if you're right!